The Remote control car comes with a place for batteries to be included. 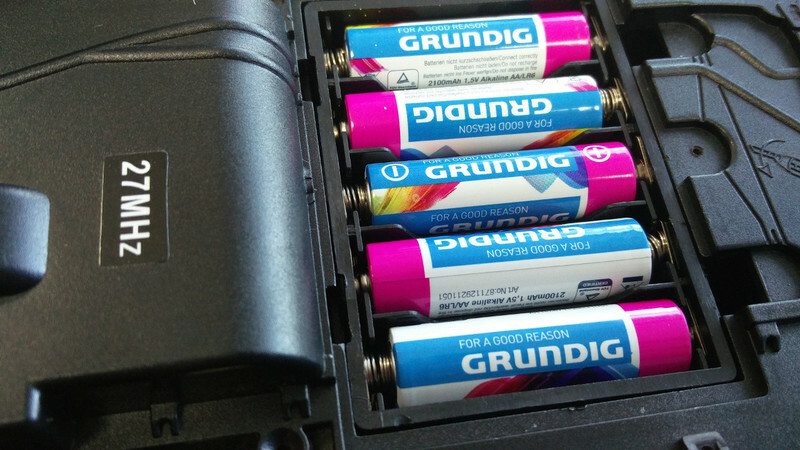 These batteries power the motors and the electronics that the car has by default. 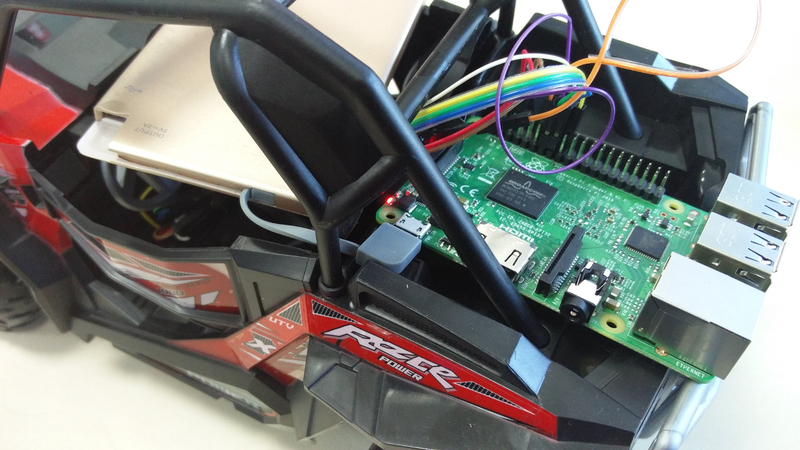 The Raspberry Pi is a small, but powerful computer. Its consumption of energy is rather large compared to the default electronics in the car. Because of this large consumption, we need an additional power source. Otherwise, we would have to change the batteries of the car way too often and that would be very inconvenient. Why not power the motors with the power bank? Yes, it is possible to power the motors with the power bank. But this is what would happen: The current output of the power bank is about 2A (ampers - a measurement for current flow). The Raspberry Pi requires about 2A. Not all the time, but generally. Each motor could also drain about 2A. In the end, if we power everything from the Power Bank the Raspberry Pi will turn off. It's like turning off your brain and leaving your legs working. Bad things could happen :) That's why it is a good practice to keep two power sources. One for the electronics and one for the motors. By now the first step should be completed and you should have the application downloaded and installed on your phone. And this is the current layout of the application as we recorded the video. In future versions the layout might be different but now this is the layout. First step is completed - we have the application downloaded on the phone. The second step is to power this microcontroller and for this we'll use a power bank. And now comes the natural question - why do we need a power bank when we have batteries that could alright be placed on the car. Let's start with this question and with the simple answer of this question. We have two power sources - batteries. One power source is for the microcontroller and the other power source is for the motors. What is the separation between the power sources and why it exists? Why do we need two power sources? We need different power sources because there is simply not enough power in the system. The remote control car - this one here it comes with a place where we can put the batteries. These batteries power the motors and the electronics of the remote control car. And we've prepared such batteries - these are just standard batteries. Additional power source for the Raspberry Pi is the power bank. The Raspberry Pi is quite small but it's a powerful computer. Its consumption of energy is rather large compared to the default electronics that's in the car. Because of this large consumption we need an additional power source. Otherwise we would have to change the batteries of the car way way too often. Some of you might ask why not power the motors of the car with the power bank. Yes, it is possible to power the motors with the power bank but this is what would happen. 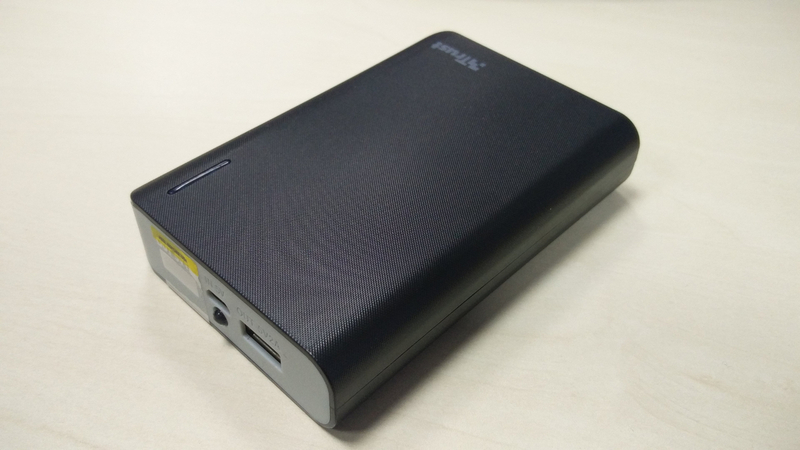 The current output of the power bank is about 2 A and an ampere (A) is a measurement of the flow of current. The microcontroller that we are currently using requires about 2 A to function not all the time, but generally it requires about 2 A. And each motor of the car also drains about 2 A. In the end if we power everything from the power bank, the Raspberry will turn off. So, if we power everything from the power bank, the Raspberry will turn off. There's simply just not enough power. It's like turning your brain off and leaving everything to your legs. That's why it's a good practice to keep two power sources. One for the microcontroller and another power source for the motors. So, if we turn off something, it will be just the motors when we drain these batteries. And our brain will continue working. How do we connect the power bank to the Raspberry Pi? It's quite easy. You might have a different power bank but they are currently working all in the same way. We use this USB cable, we connect it to the out of the power bank and we connect the other end to the Raspberry Pi. And right here you can see the input for the power and then there might be a button on the power bank we press the button and the power bank powers the controller. And you can see a small diode right here that's turned red. And I could remove the cable and the diode will no longer emit light. Again I place the cable and we see this small diode. So, we've successfully powered the microcontroller but nothing happens. Follow the instructions below and connect the power bank to the microcontroller.